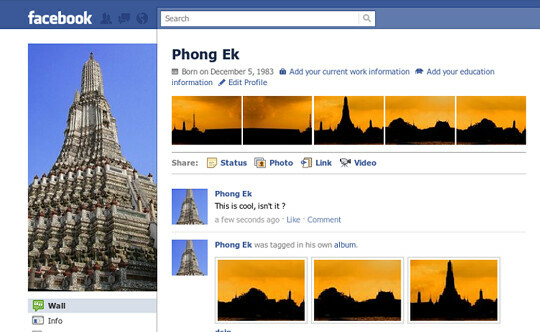 This is a web-based tool for collaging photos and uploading to facebook. 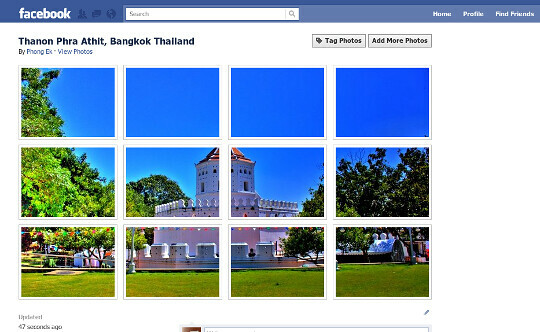 Make a collage in your own album and invite your friends to see. 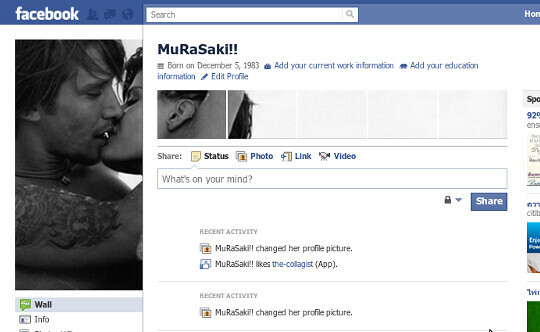 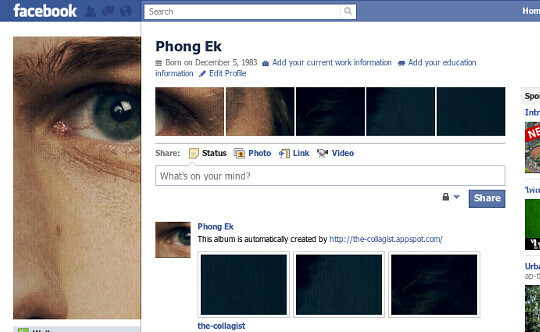 Collage your tagged Images and show it to your friends on new facebook profile page. 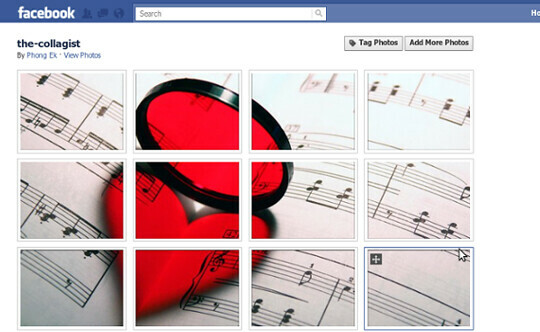 Collage your image into L-shape. 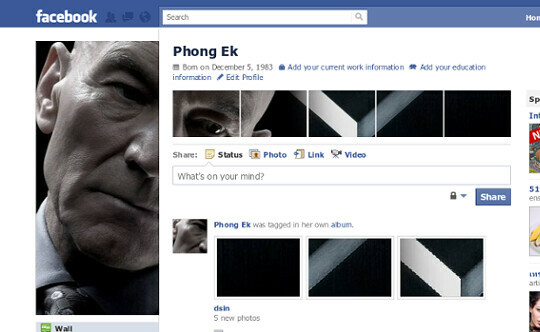 This project is inspired by Dino Ignacio's hijacked a co-worker's new facebook profile image on buzzfeed.com. 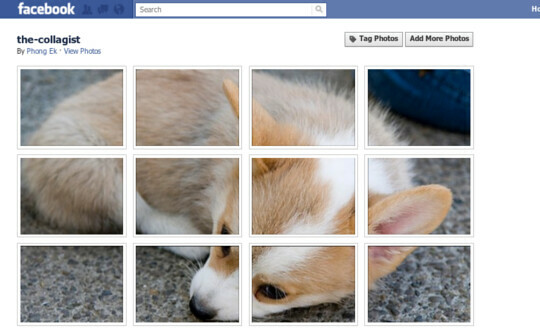 Powered by Google App Engine. 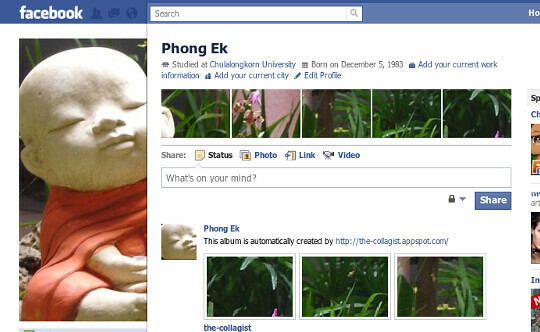 Comments, bug reports, photo show off are available at the-collagist fanpage.